Advent is a season of preparation, of expectation, of taking stock before the Christ comes. In his mercy Jesus came into the world to save a wayward people. In his mercy Jesus comes to us each day and dwells with everyone—woman, man, and child—who calls on his name. Jonah—that recalcitrant prophet who finally cried out to God from inside a giant fish—knew God’s mercy. It was probably a deep appreciation of God’s grace and a desire to share it with others that led Jonah to the prophetic vocation in the first place. Yet the book of Jonah shows a follower running in the opposite direction of his Lord. Reading the first few verses of Jonah, we think he is fleeing from God because he has to call a powerful, godless empire to repentance—and that would involve some serious risk to the prophet’s life! But at the end of the book, Jonah reveals it wasn’t fear for his safety that led him away from Nineveh; it was fear that this heinous people would actually accept and receive God’s mercy. The same God of mercy who had drawn near to Jonah and won his heart now wanted to draw near to the unworthy city of Nineveh. Our King and Savior now draws near—through our remembrance of the Incarnation, a scandalous act of God’s lavish mercy to the undeserving. The Incarnation would culminate in the crucifixion, an act by which Jesus would draw all people to himself—from sacred Jerusalem to Gentile Nineveh, from Main Street to Wall Street. Our King and Savior now draws near—through the promise of Christ’s second coming, to be at an hour which no one knows, at a time when we least expect it. Our King and Savior now draws near—in daily interactions with neighbors, in world events, among the least and the last, and to our own hearts. The book of Jonah teaches us who have accepted God’s mercy that we are to extend God’s lavish love to everyone. We should not begrudge God’s grace given to those we most despise. 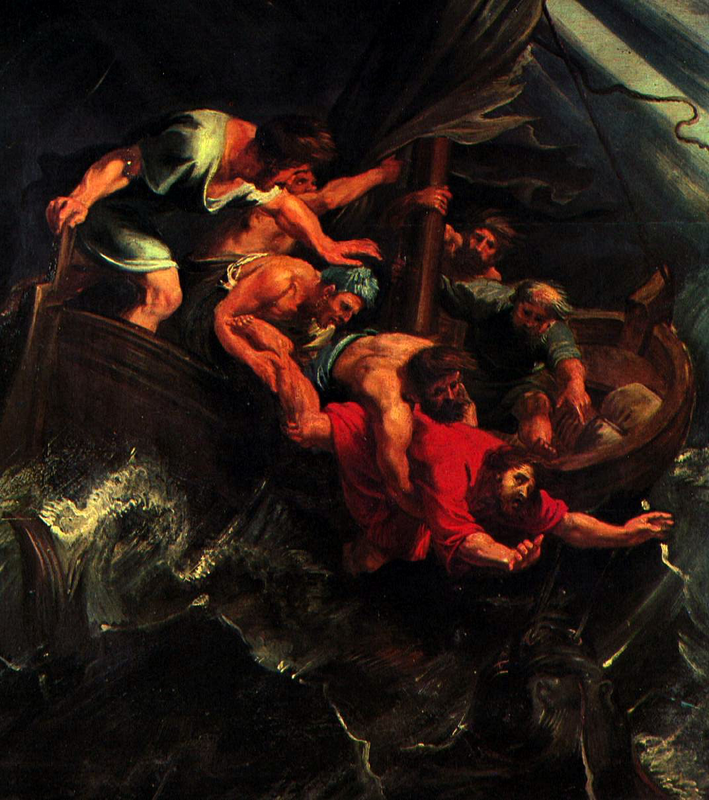 Reading through Jonah, we do well to pay special attention to what it reveals of its main character (Jonah’s God), to Jonah’s internal struggles (and how it resonates with our own), and to the repentance of unlikely characters (the sailors, the Ninevites). Our King and Savior now draws near—how do I receive him? The above is adapted from an introduction I wrote for my congregation as part of an Advent Reading Guide to Jonah. (A number of us are reading a chapter of Jonah each week of Advent.) More on Advent and Jonah to follow.